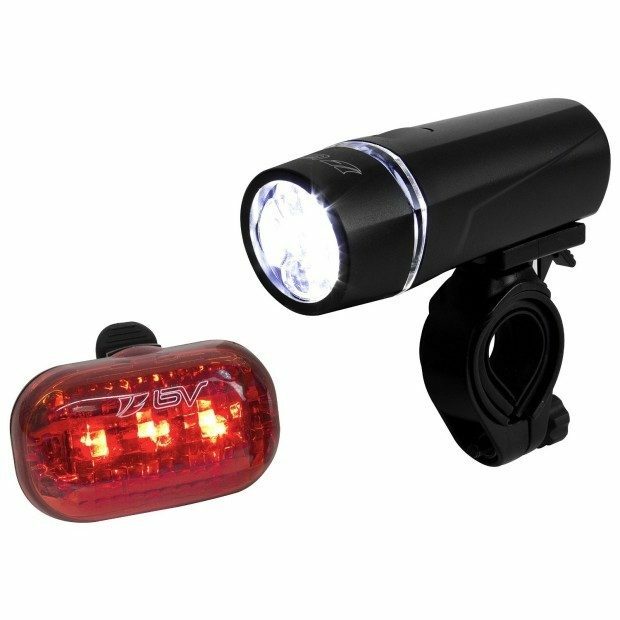 Bicycle Light Set 5 LED Headlight, 3 LED Taillight Just $9.49! Down From $20! You are here: Home / Great Deals / Amazon Deals / Bicycle Light Set 5 LED Headlight, 3 LED Taillight Just $9.49! Down From $20! Whether it’s you or the kids out on the bikes after dark the most important thing is to be seen! Head over to Amazon to order a BV Bicycle Light Set Super Bright 5 LED Headlight, 3 LED Taillight, Quick-Release for just $9.49! Down from $20! Shipping is FREE for Prime members or on orders of $35+.